Hi, and welcome to my website Your Dutch Guide. I am excited to see you here, and inspire you to have a fantastic time in The Netherlands. 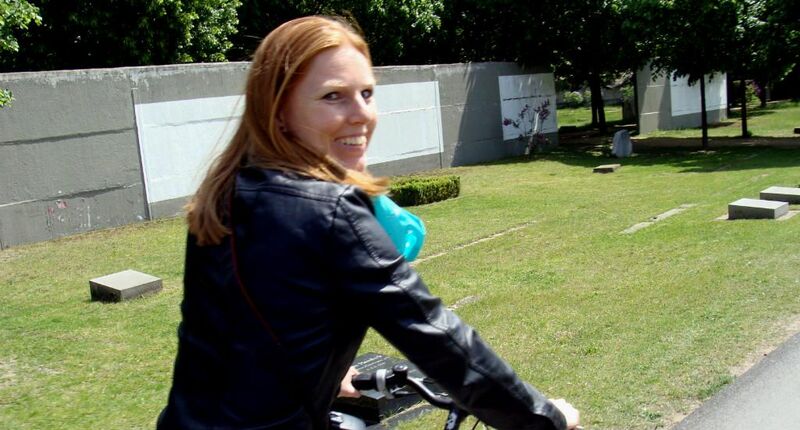 I am Esther, a 30 something journalist born and raised in The Netherlands. My work as a travel journalist takes me to the most beautiful places on earth, but I am always happy to touch ground at the place I call my home: The Netherlands. Born and raised in a small town in the south of The Netherlands, near the border to Flanders (Brabant, where people have the most beautiful Dutch accent, or so I think) and calling centrally located Utrecht my home. When I was about 7 years old, my mother caught me packing my suitcase (it was a bright blue number, with smurfs on it). I packed one pair of underwear and a pair of socks, declaring I had been living in this place for far too long now and it was time for me to discover the big wide world. My mum, fully confident that my rumbling tummy would have me home in less than an hour, wished me bon voyage. And off I went, on my first adventure: around the block in my safe neighborhood. Fast forward some 25 years later and I am utterly, utterly privileged to be able to travel the world, write about it and actually make a living doing this. I have a degree in journalism, having studied in Tilburg, and work (as a freelance journalist) for lots of magazines and websites in The Netherlands, having cooperated on a couple of travel books as well. I specialise in travel writing, in depth interviews and articles on entrepreneurship and sustainability. Whenever I’m home, I hop on my bike and get lost in the gorgeous landscapes near my beloved Utrecht. There are castles, windmills and endless fields of flowers where hares and storks make their homes. A while ago I came to understand that this feeling is something I’d love to share with anyone willing to listen, or in this case: read about. Of course, I highly recommend you visiting Amsterdam when you come to The Netherlands (and I love going there myself, I am as much a tourist there as you are! ), but there is so much more to see and do in The Netherlands. From ancient Roman ruins and castles in the centre of The Netherlands, the tulip fields of Holland, the mesmerising nature of de Wadden islands and the bustling cities all around. Inspirational articles on my blog. I’d love for you to leave a comment on my blog! If you like to work with me, feel free to drop me an e-mail. Fine print: Your Dutch Guide is part of my company De Beer Media, which is registered at the Chamber of Commerce, Utrecht, registration number 57179875.